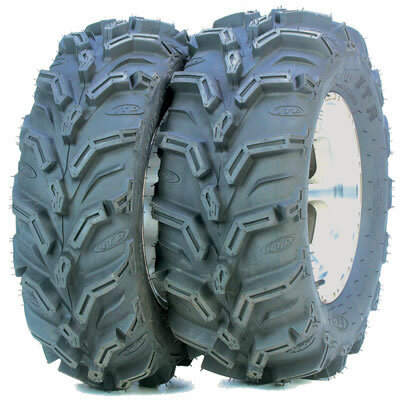 - ITP Mud Lite XTR ATV Tires are sold individually. - The next level in tire technology. 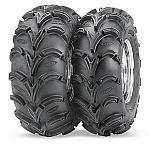 - One of the most popular Radial Atv Tires on the market. - Get the profile, traction and the ride you deserve while giving up nothing. - Quicker steering, stand out from the crowd. - 6 Ply Radial constructino for stability and greater puncture resistance. - 1 1/8" deep, angled grooved lugs. - Great for trail riding, mud bogging, loose & intermediate terrain, mud and snow. These tires stand up to mesquite thorns and everything else that I run over chasing cows. Good working ATV tire. Pure-offroad shipped as fast as advertised. Excellent service, fast shipping. We will be using these folks again. Praise the good ones and raise hell with the bad ones..
Love the looks of my new wheels and tires! Installed on 2011 Honda Rancher and couldn't be happier! The ride is fantastic! Really like this tire maintains a smooth ride and really hooks up in the mud couldnt be happier with them!!! 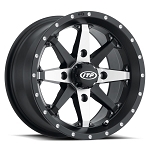 These tires are great the 2014 Grizzly likes them.No problems here shipping was super fast thanks Pure Offroad. A: Are you planning on using a lift kit or are you hoping to lift it just using bigger tires?